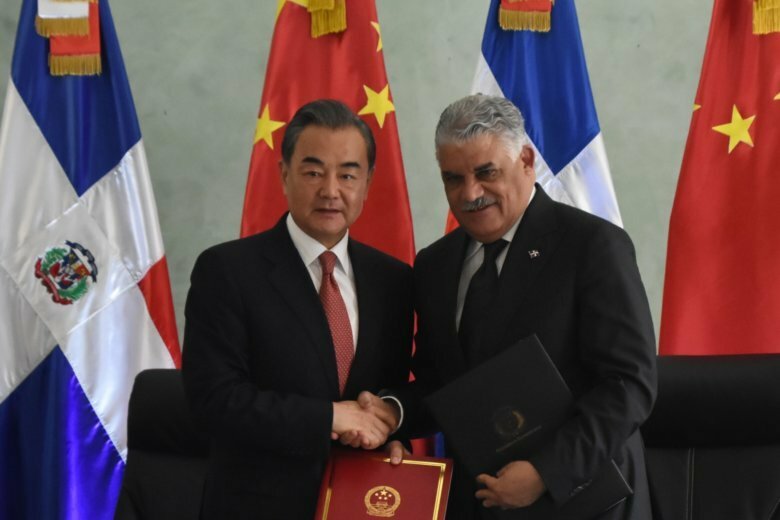 SANTO DOMINGO, Dominican Republic (AP) — China’s foreign minister inaugurated his country’s embassy in the Dominican Republic on Friday almost five months after the two nations established diplomatic relations. Wang Yi is the first high-level Chinese official to visit the Dominican Republic since it opened ties with the Asian country and cut ties with Taiwan on April 30. The move was a blow to Taiwan, a self-ruled island democracy that China has been trying to isolate on the global stage. Only 16 small countries plus the Vatican currently recognize it. The Chinese envoy called the opening of the new embassy historic and said Chinese investors and businesspeople have already started visiting the Caribbean country. “Dominicans are looking for a reliable ally and we have found one as well a friend and an ear for our aspirations,” said Dominican Foreign Minister Miguel Vargas during the inauguration of the embassy of in Santo Domingo. Wang will also meet with Dominican President Danilo Medina and is expected to sign cooperation agreements with the Caribbean government. According to the Dominican government, bilateral trade with China has reached $2 billion a year, making the Dominican Republic the second-largest trading partner for China among the Caribbean and Central American nations. The Chinese foreign minister’s visit to Santo Domingo is his first stop on a tour that includes Guyana and Suriname before he travels to New York to attend the U.N. General Assembly.